Fun. It's a basic human desire. It's also the apt name for one of pop's most endearing indie bands, New York City's Fun. 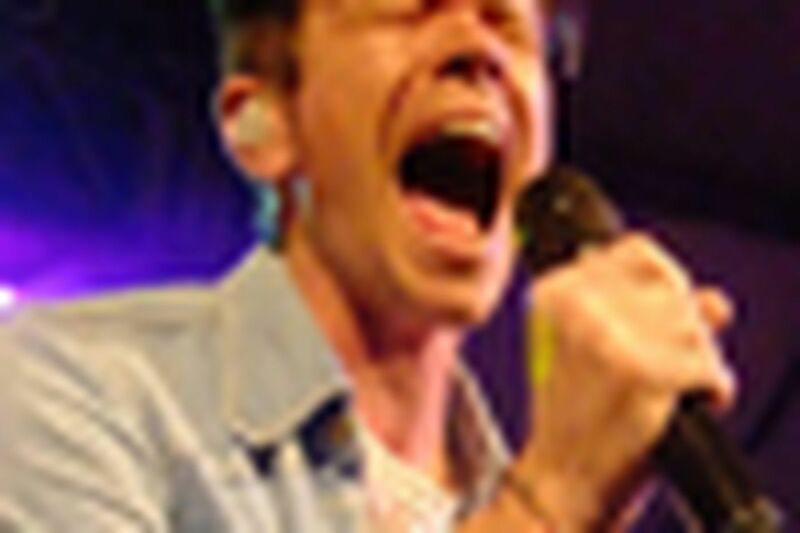 Formed by singer Nate Ruess, guitarist Jack Antonoff, and pianist/trumpeter Andrew Dost, Fun. is big, progressive power pop to the max. The history of that genre and its greats — ELO, Jellyfish, Cheap Trick, Raspberries, Sparks — exists in Fun. 's every fiber, from its loopy harmonies and hyperactive rhythms to its glam-rocking guitars and smart, lovesick lyrics. For its efforts, Fun. found its anthemic single "We Are Young" atop the Billboard Hot 100 songs chart in March (at No. 1 for six consecutive weeks), a rarity for any band, let alone one that identifies itself as alternative. Days later, that song made digital sales history as the first tune to score more than 300,000 downloads a week for six weeks. No wonder it sold out the Theatre of Living Arts on Saturday night, packing the place with fans who were as rabidly gleeful as the band. The zeal with which Fun. ripped through the sweetly swaying "We Are Young" was as infectious as the tune itself, its chorus' call of "Let's set the world on fire / We can burn brighter than the sun" a rebel's yell for the 'tweens and young collegiates in the crowd. From the band's brassy start ("One Foot") to its weirdly disillusioned but alluringly chipper cover of the Rolling Stones' "You Can't Always Get What You Want," Fun. was effervescence personified. Don't believe, though, that Fun. was all mindless revel. Along with summoning up a repertoire of plinks and pixieish rhythms, pianist Dost was capable of handsomely elegiac intros. Several of the band's sprightliest moments, such as the "nah-nah-nah"-filled chorus of "Walking the Dog," came with quietly forlorn, minor-chord-filled bridges sung softly by Dost. Yet the burden of carrying off Fun. 's sometimes sad-eyed lyrics fell most heavily on Ruess' shoulders. "Whoever I am / It's not like the movies, but it's not all skin and bones," he sang during the aforementioned "Dog," one of several Fun. songs ripe with disaffection and uneasy rumination. "At Least I'm Not as Sad (As I Used to Be") said it all, as far as Fun. was concerned, with Ruess' call of "laughing and drinking and smoking and singing" through his tears.